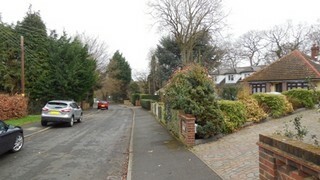 Gorsewood Road is one of Hartley's longer roads with a considerable variety of ages and styles of low density housing. It descends down the side of the valley to the railway. It started life as a farm track which ran from Middle Farm to Longfield Rectory. 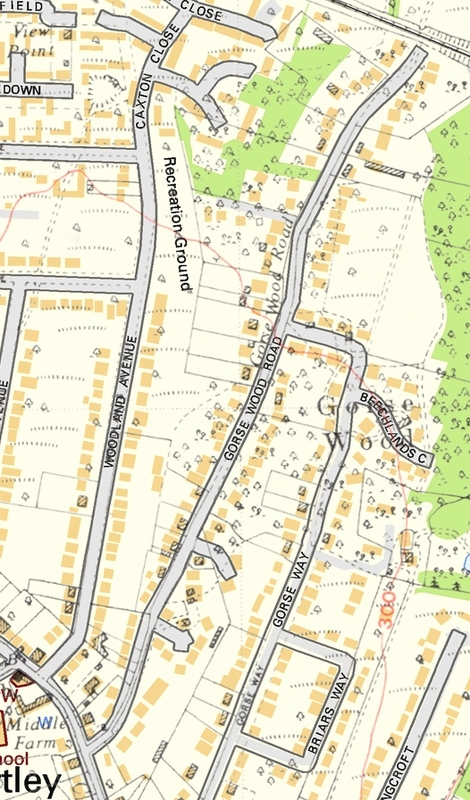 This track is clearly marked on the 1869 Ordnance Survey map of Hartley. The railway now divides the Hartley from the Longfield section of Gorsewood Road, when I was young there was a crossing at the bottom of the road, with a sign warning of a ten shilling fine for trespassing on the railway. Now the warning sign mentions a £1,000 for trespass. In 1968 concerns for the safety of the 60 schoolchildren who had to cross the railway daily led to calls for something to be done. This finally led to the opening of the underpass in June 1974 at a cost of £41,000 (Gravesend Reporter 3.5.1968, 31.5.1968; Dartford Chronicle 28.6.1974). The first house to be built was Johns (originally called Meru) in 1913. See Johns Close below for more details of the interesting history of this house. Meanwhile nearly all of the west side of the road and the east side from the railway to Gorsewood Farm was bought by a London car manufacturer, Adam Grimaldi & Co Limited. Instead of building a factory here, they sold the land in 1922 to Edith Dorothy Williams. She and her husband arranged for mains water to be laid on in 1923 (Dartford RDC Minutes 4.12.1923). But development proceeded very slowly and it appears not quick enough for Mr and Mrs Williams as their mortgage was foreclosed upon by the bank in 1934. 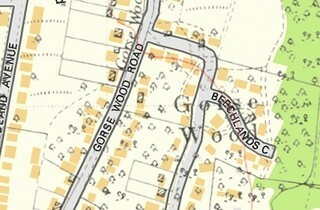 By 1939 there were 17 houses in Gorsewood Road. 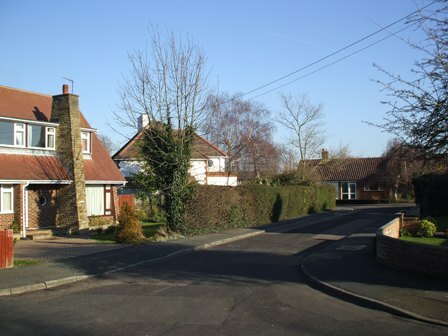 A further 9 houses were added in the 1940s, but development quickened thereafter with 31 houses being added in the next decade, and a further 19 in the 1960s. During the latter part of the war years a number of building plots were sold in Hartley Wood, but planning permission was refused for all of them after the war. The small piece of woodland that divides Gorsewood Road from Caxton Close is all that remains of the wood which gave the road its name. That any of it survives is thanks to a local residents campaign in the 1970s which saved it from housing. The remains of Gorsewood were transferred to the Parish Council in 1978. More recently another local campaign succeeded in getting the path between Gorsewood Road and Caxton Close declared an official footpath. Over the years there has been some commercial uses of the road. Before the war there was farming at Gorsewood Farm and the Lantern was home to a bookseller. After the war there was a builders yard where Sunnyside is now, and Austrel Cottage included boarding kennels. The road was made up and adopted by Kent County Council in 1971-2 at the expense of the frontagers. This involved some widening of the road between Church Road and Johns Close. Historically most of the land was part of the Hartley Court estate, except from the East side from Church Road to The Beeches which belonged to Middle Farm. Johns Close was built by RAE Builders Limited in 1961 on land they had bought 2 years previously from the then owners of the house Johns, Mr Baldwinson. Johns was the first house to be built in Gorsewood Road (it was originally called Meru) in 1913, although its access was to Church Road. It was the prize in a competition run by the magazine Poultry World who modestly called it "The greatest prize ever offered for competition amongst poultry keepers". It was won by Alice Edith O'Grady from County Cork. (see the article "The Prize House" for more details). The total cost of the house and 5 acres of land was £500. In 1959 the owner of Johns, Henry Baldwinson (1923-2009) sold the land to build numbers 1-6 to Bexleyheath Builders RAE Builders Limited. They paid £2,850 for the land. Slightly later in 1965, The Folly was built on part of the retained garden of Johns. 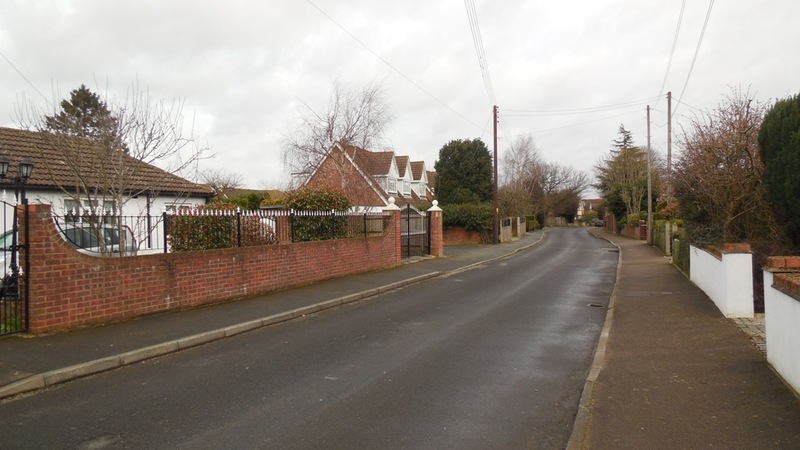 (1) Planning Permission: 2014/3273 Demolition of existing garage and erection of two storey side extension, single storey rear extension, and first floor front extension. 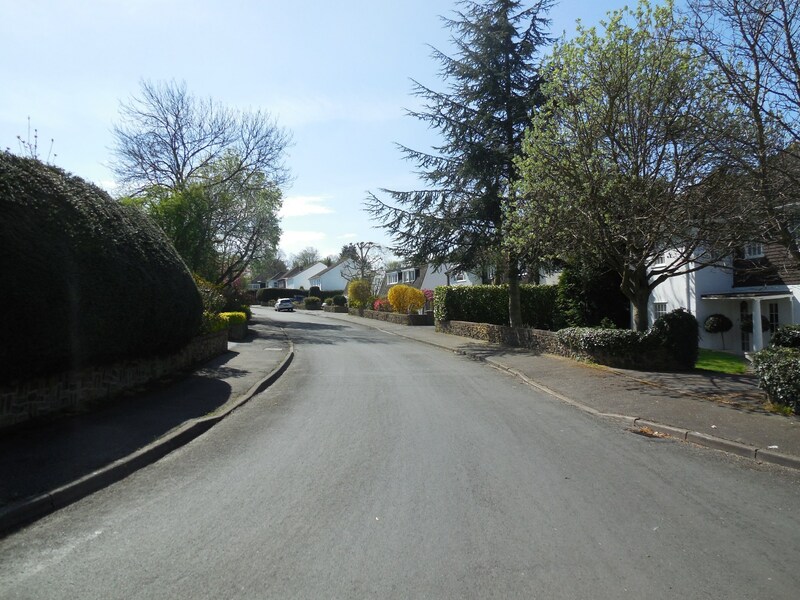 (1) Planning Permission: 2009/638 Demolition of existing house, erection of two chalet bungalows. (1) Planning Permission: 2009/1892 Demolish conservatory. Single storey rear extension. (1) Planning Permission: 1926/Meeting 1926-07-06 Concrete block bungalow (Nash's principle) off "Church Lane"
(1) Planning Permission: 2015/2519 Demolition of existing semi-detached bungalow and rebuilding to include various ground floor extensions and loft conversion to incorporate an enlarged hipped roof end. (1) Planning Permission: 2014/1271 Erection of a single storey extension to front. Existing first floor extended to front and rear with new roof layout and three dormers. Removal of two chimney stacks. (1) Planning Permission: 2012/540 Erection of a single storey rear extension, and extension of existing garage to rear.